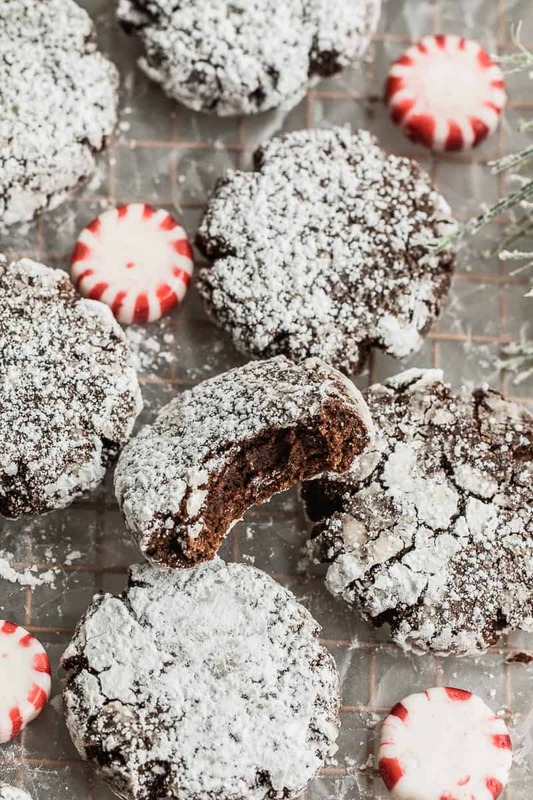 These Chocolate Peppermint Crinkle Cookies are so yummy, soft and brownie-like. 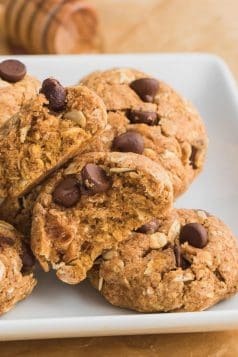 They are also paleo-friendly, gluten-free, grain-free, dairy-free, low carb, and sugar-free! 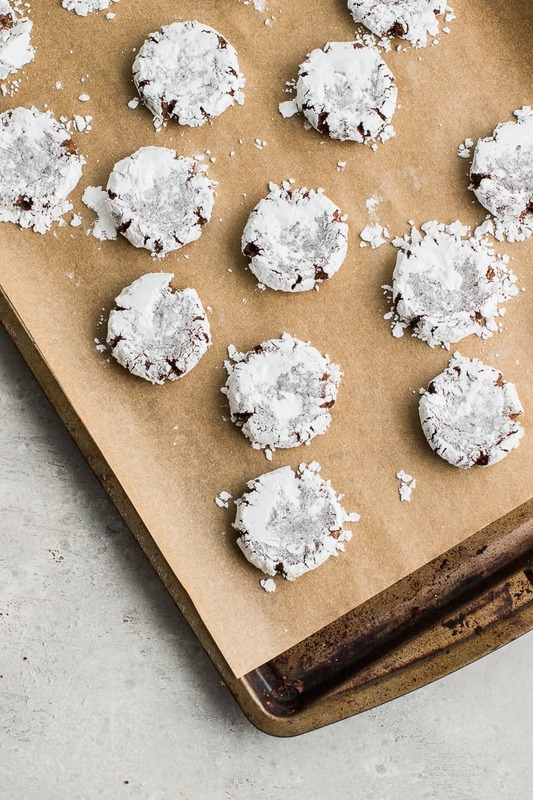 Make this cookie recipe over the holiday without any guilt. 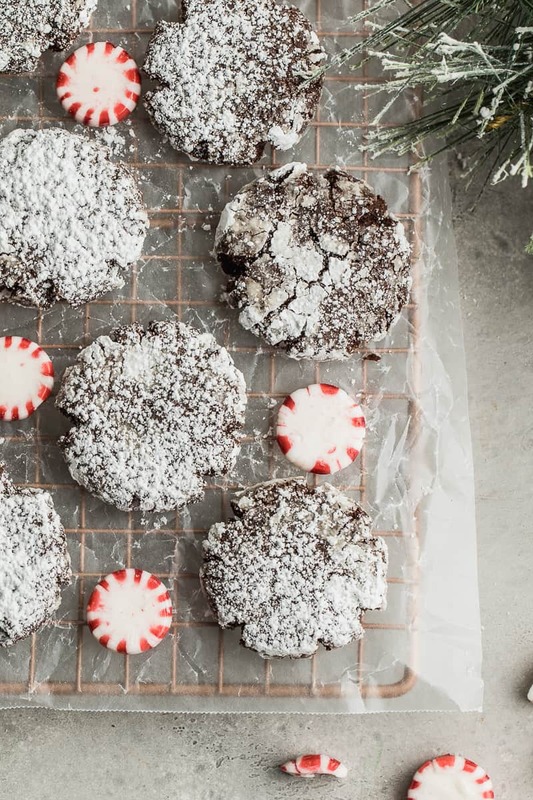 The holiday season is not complete without Chocolate Peppermint Crinkle Cookies. 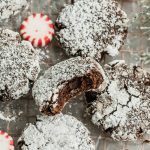 I decided to add a twist to these chocolate crinkle cookies by adding a couple of drops of peppermint extract. You can keep your simple and just added a bit of vanilla extract instead. But I love the taste of this with peppermint. So yummy. Preheat oven to 350 F and prepare a baking sheet with parchment paper. 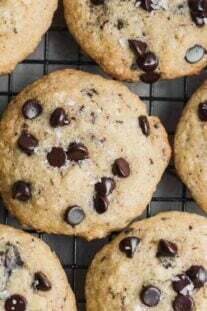 In a bowl, stir together the almond flour, coconut flour, tapioca flour, cocoa powder, granulated erythritol, salt, and baking powder until they are well combined. In another bowl, use a hand-held mixer to beat the eggs, vanilla, and peppermint until light and fluffy (about 1-2 minutes). Add in the coconut oil and continue mixing until combined. 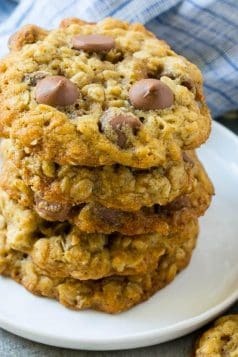 Add the wet mix to the dry and use your hand held mixer to mix until a dough forms. Separate the dough into 18 evenly sized balls. Place the powdered erythritol into a shallow bowl. Toss each ball into the powder until completely covered. Place the balls on the baking sheet about 1-2 inches apart. Use the bottom of a cup to press the balls down slightly. Bake for 8-10 minutes. 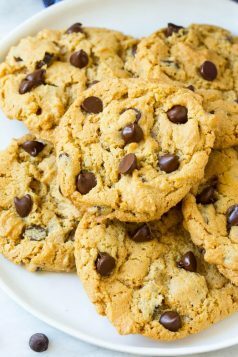 Let cool on the baking sheet for 5 minutes before transferring to a cooling rack to continue cooling. I would love to know what you think of these Chocolate Peppermint Crinkle Cookies when you make them, so please come back and leave me a comment below. 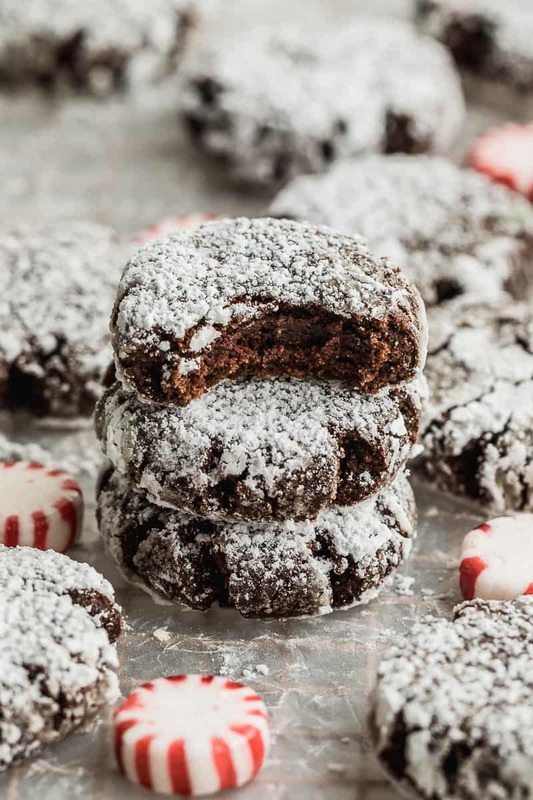 Remember to subscribe to my NEWSLETTER for free and receive all my new recipes like these Chocolate Crinkle Cookies delivered right to your inbox! 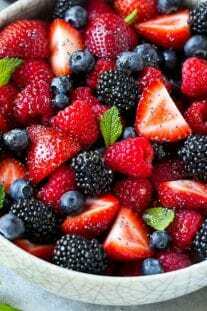 In a bowl, stir together the almond flour, coconut flour, tapioca flour, cocoa powder, granulated erythritol, salt, and baking powder until well combined. Use the bottom of a cup to press the balls down slightly. Bake for 8-10 minutes. Let cool on the baking sheet for 5 minutes before transferring to a cooling rack to continue cooling.